The information and checklists you will find below are written with the hope that you never suffer the kinds of stories I’ve listened to from my clients year after year. They have said they wish that someone had prepared them for what they were about to do. Here is what they should have been told. Be prepared. Be smart. Listen to expert advice. Don’t panic. Get organized. Of these, I have learned that being organized is the number one reason why some websites are successful while others are not. Not being organized means that everything, from planning a website to marketing, may result in failure. Remember when the Healthcare.gov website launched? It was a horrible nightmare. People could not use it. They didn’t understand it. It cost millions of taxpayer dollars to build it and it became a public user experience disaster. The companies that made it were not organized. They failed to plan the site properly. It was not tested for usability or functionality before it launched. Whoever was responsible for the project dropped the ball and the debut history for the website will remain in the historical record as a huge flop. Here was the perfect example of how not to build a website. Guess who paid that bill too? We can thank ourselves for that. If you want your web pages to appear in Google’s mobile device search engine, it has to pass their mobile test. If you want to rank well in any search engine results, you need to hire someone with the skills needed to optimize your pages to compete. If you want your pages to be added to search engines, you need someone who knows how to do that and also monitors search engine performance. Planning on adding advertisements to your website? There are rules and guidelines for that too.  Accessibility Section 508 and PAS 78 compliance for .gov and .edu sites. You will not get a website designer with those required skills for $5 an hour and you will not get a standards compliant website for under $2000. 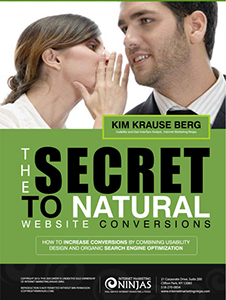 Read my publication “The Secret to Natural Website Conversions”. Dear Universe. I Want a Successful Website. However, it expects you to do the work. 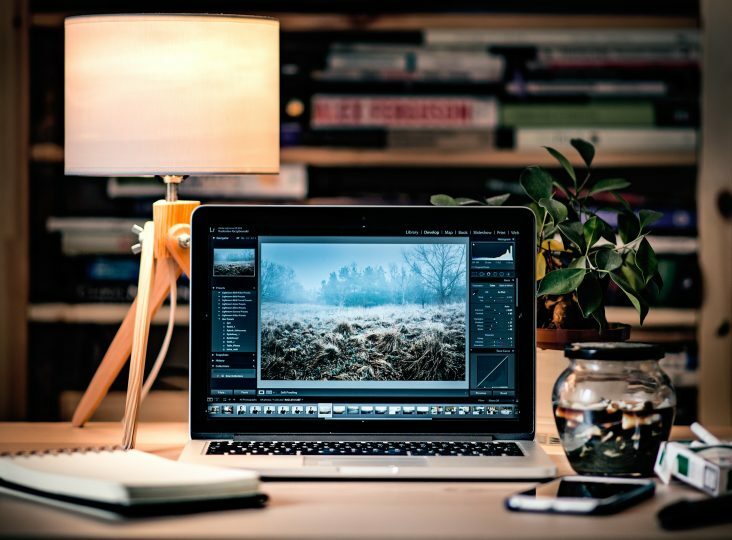 You may or may not know what you want and need for your website. You’re not alone, but frankly, the fact that you are reading this right now is an excellent sign that you want to own a website that works and will be successful. Since there is so much to know before you start, I’m grateful that you are here because most of my clients have not asked questions or done their research first. In fact, by the time they find and hire me for help, they are angry, confused and ready to quit. They have lost time and most painfully for them, a lot of money. In the thousands. They will never recoup that money or get that time back. This may already be you. Not only did you lose time away from your friends and family, and have reached the limits of your credit cards, you feel like a failure. You have lost confidence in yourself, and maybe your ideas for your business. Some of you lost friends that swore up and down they knew how to make your website but in the end, they did not. You had the fire them. Maybe you hired and fired several local agencies that quoted nice web design and hosting packages but didn’t deliver a site you like or wanted. And they won’t let you change it unless you agree to pay for it. When you look for your website in search engines, you wonder where it went. Was it ever there? Your host is sending emails that your bandwidth is used up. What does that mean? Facebook keeps changing its rules. You hear about Instagram, Snapchat, and Pinterest and were told you have to be in those sites for marketing your brand. What is a YouTube channel? Do you select WordPress, Joomla or Drupal? Do you need a newsletter or blog? What are these crazy things and when did owning a website become so complicated and expensive? A friend of mine once asked me to create a checklist that would cover everything there is to know about how to build a website that is user friendly, will rank high in search engines, work on all computer devices and for all people and convert each visitor to a completed desired task. I’ve stockpiled an enormous list of requirements, instructions, usability heuristics, test plans, how-to’s, code snippets, and no matter how much of this mind boggling information I sock away for that amazing list, I always put it off creating it because there is so much to know! If I’m overwhelmed, what does that say for anyone just starting out? There is one area that I never see anyone discuss. These are your most important questions. What do I need to know before I start to build a website? Who do I hire? What do I need to know so that I won’t lose money I really don’t have to spare? What is owning a website really like? I decided to start at the beginning. Owning a website is fun, or at least it can be. To help you avoid a website train wreck, I’m going to take you through my process that I do with every client, from small business to corporate enterprise level. They are always surprised that I bothered to ask questions. How can I look for opportunities to improve their website or be an advocate for their target audience if I don’t learn everything I can about them first? My discussions with my clients always make them think. Start with the basics. Go slowly. Check each item off as you go along. It may be helpful to print these pages. When you reach the end of these two checklists, you will be ready to hire the right company or person to build your website or learn enough to support your own abilities to do it yourself. The small investment you just made is going to be repaid to you in ways you never imagined. Your own peace of mind and confidence is already priceless. Why do I want a website? – This is the most important question to start with. The reasons why people want a website are as varied as there are people. Business owners may want a website presence that explains their business, products and services. Hobbyists may want a website to sell their stuff or share stories with people who have the same interests. Authors have a book to sell and fans to stay in touch with. Every product or service under the sun can be sold online. Are you a business or an individual? Blogger, book author, teacher, shop owner? Do you have a picture of you? Will you be anonymous or use a pen name? What makes you credible and authentic? This is the time to be truly honest with yourself. It may look easy but when you start putting together the pieces of a website without the experience to back up your decisions, you could face a situation that becomes out of control. This is not the time to be stubborn or ignore the advice from experts. Write down your qualifications and note your strengths and weaknesses. Be sure you understand the habits of your target users. If you sell products online, you will want to answer “yes”. If you host videos, you will need to know the limitations for viewing on mobile devices. Research the behavior and usage data of your target market to get a clear picture of what devices are being used. This is where you write your business proposition. What makes your business, you or your services unique? Do you have experienced staff? Has your store been in business a long time? Quality ingredients? Dig in and find what sets you apart. This will be important when you write content for the site. Who are your top 3 competitors? List each one and define. Your information architecture, keywords, navigation labels and calls to action will be based on this. Write your bio. Compile the information that will eventually go into an About page. Gather testimonials. Start asking for endorsements. Gather up your awards, certifications, and memberships in organizations. Record your volunteer activities. Find pictures that help describe you. Credibility and expertise are critical to your online success and may make the difference between being hired or not. This may be filling out a sales lead form, signing up for a newsletter, downloading a document, order products, contacting you or using a software application on your site. Typically the leading task is directly tied to your main reason for being online. Write down all the tasks here. Include subscribing to your blog feed, following your social sites and submitting a testimonial. Will you provide a blog, newsletter, articles, photos, videos, products? If products, will you include product specs, descriptions, images and ratings? If you have videos, how long are they? Where are they hosted? Will you sell third party products or signup for affiliate sales? Do you need a setup for paid memberships? Will you host a forum? Do you need a secure server for online sales and payments? Will you be the content writer? Do you plan on hiring writers? Who will make your videos? Do you have a photographer? Do your site users provide content? Start listing your expenses for hosting, domain, advertising, site maintenance, usability and functional testing, SEO, software such as Photoshop, and other areas where you will need assistance. Research and start getting ideas. PayPal offers easy ways of accepting payment for services, and there are several popular ecommerce shopping cart suppliers that work with WordPress or other types of websites. You will need to set up a payment gateway connected to a bank account. If you run a business or are starting one in which you will billing clients or accepting payment for products, check the laws for your state. You want to protect yourself, home and business from any liability. You may need an employee identification number for invoice and tax purposes if you are a consultant. Lawyers, financial sites and healthcare are just a few of the types of industries that require specific disclaimers and legal policies for conducting business online. If you own a franchise, check their website policies. It is important to let your visitors know, especially if you ask for payment or donations. Some people will not donate unless the recipient is a non-profit agency, for tax write-off purposes. For profit sites should investigate how they accept payment, including wire transfers and credit cards. Small and local businesses, and especially home businesses are not always comfortable with putting their address on the website. For local searches, an address is needed but for security, that presents a problem. You may wish to get advice for your situation that works for both you and search engines that have local business programs. If yes, you need to hire someone with search engine marketing skills that will optimize your pages and have it properly indexed. Find someone skilled with Google Analytics, Google Webmaster Tools, Bing Webmaster Tools and organic SEO. If you plan on using videos, you will need someone who knows how to optimize for search engines and YouTube searches. You will need someone to monitor your site or learn how to do it. Find support for events such as monthly security checks for hacking and backups. In the event you wish to add something new to your site, you will need to know the risks beforehand. Typically the person who handles your online marketing and analytics has the best idea on your website’s performance. If you do it, there are free and fee-based tools like heat maps, surveys, load testing, and much more. Digital marketing includes PPC landing pages, buying ads from Google and Bing, social media marketing, local ads, press releases and more. All of the above must be tracked for results. Choose a host that provides exceptional customer service, little to never downtime, affordable fees, easy to use control panel, and no extra fees for email, security and privacy. Once your website is hosted, it is complicated to change servers if you have a database, which is common for sites built in WordPress. Breathe. This is a good start. Took lots of notes, right? 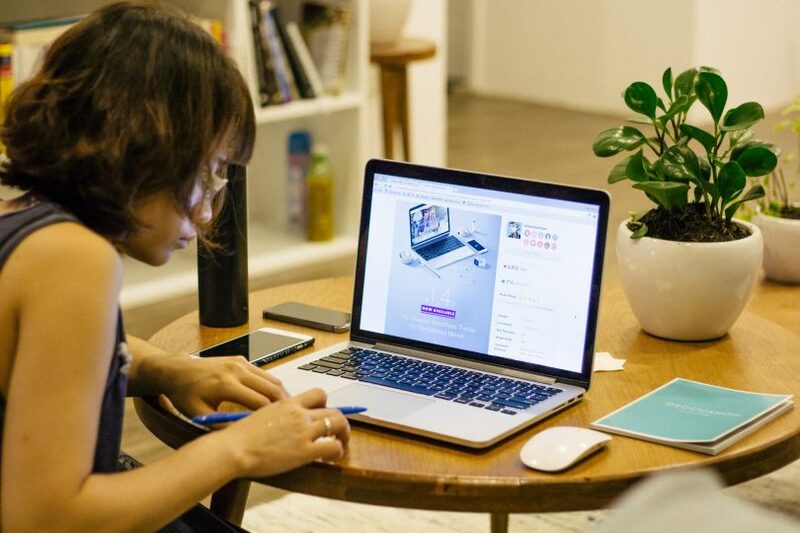 This is a list of web design skills needed to skillfully build your website. 10. Accessibility Section 508 and PAS 78 compliance for .gov and .edu sites. How many web design skills on this list does your webmaster have? So while you or your designer may scour the web looking for the right template to use, remember that you may be stuck with its colors and layout unless you know how to customize the code or find a template that enables more flexibility. If your designer purchased a WordPress theme for your website, do you have a maintenance agreement for keeping it updated and maintained? Before you hire someone to make a website for you, ask them the following questions from the checklist below. This list will save you money and time in the long run. Don’t give away any of the practices noted above. See if they mention them. If they don’t, ask them if they are trained in user centered design and persuasive design. If they answer yes, ask them what they recommend for accessibility standards for your site. Many will have no idea what you are talking about. Why is this important? It is easy to be taken advantage of when someone believes you don’t know what to ask for. Not only that, your goal is to create a website that will be successful and the only way to accomplish that goal is to hire people with the proper skills. You will be able to tell from a portfolio what styles they tend to favor the most. If they provide a link to the example website, click it and spend some time exploring the sample site. Note what you like and don’t like. Look for websites in your industry to view their approach to design. Check their examples on a desktop computer, tablet and smart phone. If your prospect does not ask you for your business, website and target market requirements before they start your project, this is a vital warning that your website will not be want you want. Avoid hiring someone who does not have the experience. Hiring relatives and a “friend of a friend” is a sure way to get caught up in a terrible situation if they are not experienced web designers. If they are employed as web developers, you may feel more confident in the results. I don’t advise hiring someone for an ecommerce website unless they have been building them for at least 5 years. Be careful. Some solo designers avoid sharing credentials because they don’t have them. Ask for testimonials. Talk to their staff. Ask for references. If they don’t have one, move on. It is never wise to make a website and not have a way to test it to make sure it is built properly before it is launched. If they say “I do it”, move on. This response indicates inexperience. Even the best authors have editors. Websites are the same. They all must be tested by an outside source. If they don’t know what these are, move on. User personas are expensive and typically not created for small businesses. Mental models, however, are based on your target market data and customer behavior. If a web designer doesn’t ask you questions about your target audience, they are not creating mental models to base the design on. At the very least, asking this question shows you have done your research. There are affordable options for website reviews for small and home business websites. The better web design agencies have someone in-house. 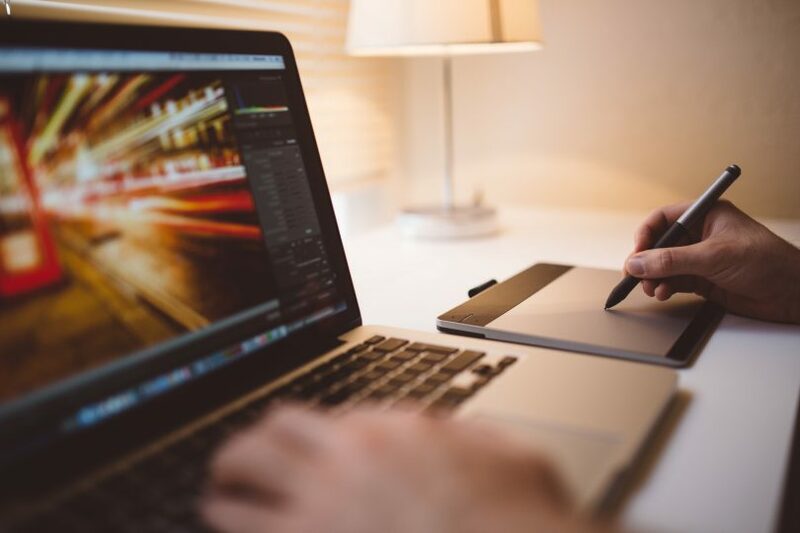 It may cost you more but the point is this – do you want your new website that represents you, your company, and brand to be perfect? Because once it is on the internet, there is no control over comments, social media feedback, and website history. Even older versions of web pages are searchable in Google. No website should be made by someone who is not skilled in SEO or does not have access to a search engine marketing person. I have been promoting Holistic Usability and SEO practices since 2002 because they blend together to make a website ready to be indexed and ranked, as well as ready to be used by website visitors who find it from search engines. If you plan on getting ads in Google and Bing, hire an expert to guide you. One common reason for frustration is that the owner of an online business website never saw the site during the time it was being built. This is unacceptable. The better agencies use team software applications that patch in the client with the web team. Everything they do is planned in advance and each time an item is completed, the client is asked to approve it or request changes. If you don’t have time to be monitoring your website during this time, Creative Vision Web Consulting offers a month to month project management service based on an affordable hourly rate. You need to understand this so that you are not taken advantage of. Perhaps you have heard stories about WordPress being a prime target for hackers? If this is you, do you want a WordPress website (they are pretty safe when you know what to do), or an alternative? What are those alternatives? That depends on what you want. And your budget. WordPress is popular because it is so easy to setup and many templates are free. WordPress is constantly adapting to the needs of website owners, making more and more revisions to their code for improvements in accessibility and security, as well as connecting flawlessly with the abundance of free plug-ins that people install for added functionality. Even shopping carts, newsletters and directories are fairly simple to install that are made to work with WordPress. Hand-coding a website is the ultimate way to build but it is time consuming, which is why it not an affordable option for small and home businesses who are just starting out. These sites are created on a computer by someone who knows how to code and may have additional programming skills. The site is built on a test server, out of the bounds of search engines and people. A hand-coded site is preferred for mobile design because the pages are tested on various monitor sizes (resolutions) while being coded to see how they layout (render). The back-end is cleaner code which is a sign of an expert designer, but also signals that someone had $10,000 to spend! If the phrase “Content Management System” (CMS) comes up, that is what most websites are these days. WordPress, Joomla and Drupal are off-the shelf CMS products, and there are more advanced versions provided for enterprise level corporations that require customization and tweaking to meet their specific needs. You may find this question is a show stopper. Unless an agency or web site designer has experienced hacking, it is not something anyone worries about. Get your web site project sent to you in a written proposal that details how the site will be built and what it includes. If there are outside vendors, you need to know this in advance and if possible, approve them since they may have access to your website and its data. Who is the project manager? Do they send a weekly progress report? Are you invited to sign off before the next step is performed? When is payment expected? What is the delivery date? Will you be sent the site information architecture to approve before the site is started? What software will be used for your shopping cart, email list, newsletter? What are those costs? How much is the host? In other words, go over the contract to be sure you understand it. It is not uncommon for someone who has an idea or something they want kept private to ask their web design team to sign a Non-Disclosure Agreement (NDA). This means that they hold your idea, website, discussions, marketing, analytics, and anything related to your website in the strictest confidence. It is not shared. This contract protects you. Avoid hiring anyone who will not sign it. On the other hand, most websites don’t require one. Most web design agencies work on websites in competitive industries and don’t share what they are doing with clients. That is simply being professional. Use an NDA if you have a patent pending, or trademark idea. Many small and home businesses with websites panic if something goes wrong and will contact their designer at all times, day or night, any day. It is unfair to treat designers like that and you risk being fired by your designer. Nevertheless, most web designers and design agencies monitor their clients’ sites 24/7 and will know when something has gone wrong because they have alerts setup. Sometimes they will push new code at night and weekends when website traffic is not as high. It doesn’t hurt to inquire about your web designer’s policies for you own peace of mind. If they don’t monitor websites, they may not a good candidate for hire. You may want to. If, for example, your website will have a blog or articles, you may wish to learn how to add new blog posts and articles. If you have a staff of writers, they will want access. The process for blog posting is the same on all WordPress based websites. Another area you may want to do on your own is uploading pictures into a photo album or videos. There’s nothing to prevent you from doing these things if you want to learn how unless you hire an agency that prevents access to the site. This requirement is another potential show stopper. Here’s what you need to know. For years web pages were made to work on desktop computers on those larger monitors that seemed to get larger every year. Suddenly, laptops came out. So, webpages were made to work on large monitors and laptop monitors. Next, tablets became all the rage. They are great for travel and working on airplanes, or taking to Starbucks. Web pages had to render on desktops, laptops and tablets. This is not as easy as it sounds. And each time consumers upgraded to a smaller computer device, they expected their favorite websites to work on them. That didn’t always happen, but it made for plenty of redesign work. Then came cell phones and the mad dash for smartphones that allow people to purchase on the go, research, read, order dinner, get directions, and track how many miles they walk every day. And, tiny Apple watches, but let’s not go there right now. The smart phone changed web design practices forever. You started to see flat design and longer scrolling pages. But the final panic button hit everyone when Google announced that by April 2015 they would not rank webpages that didn’t pass their mobile test. What that really means is that Google has two indexes where it grabs and serves web pages. One is for desktop computers, laptops and tablets. The other is their mobile index, which is for smartphones using Apple and Android operating systems. Google runs each page past a set of 4 criteria for its mobile test and if the page fails, it will not rank and may not be included in the index. Some online marketers feel that the risk is also that pages will not rank anywhere for Google. So this is big. Immediately everyone who could afford it had their website rebuilt. But first, they had to find people who knew how and proved to be a problem. The code is different and the way mobile designs are made is different. To add to the confusion, Google’s 4 point mobile test only means that the page will or will not work for Google’s search engine. The test has nothing to do with whether or not the design works for people. Therefore, it is important to ask if your designer knows how to make a website that is Responsive on all monitors and Adaptive to all computer devices. Ask for examples and test them on your smart phone. Does Your Web Site Design Agency or Designer REALLY Care About Your Success? You may not realize it at the time but when you hire someone or a company to build you a website, you have begun a relationship. Depending on your preferences, you may simply want the job done and call it a day. You may have someone to take over the site when it is finished, or you feel confident in doing it on your own. The destiny of your success is your hands. Or, you may not have the time, skills, or interest in handling the day to day duties of owning a website. When this is the case (and it is the most common…I mean, you are busy! ), think about the relationship you may have with your web designer or their staff. Do they truly care about your business success? Even agency owners come to learn the value of caring about their clients’ accomplishments. 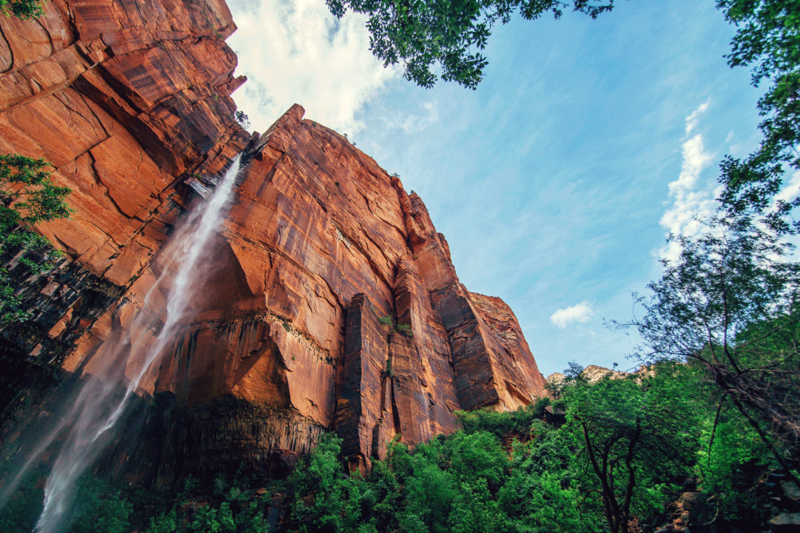 It is easy to get caught up in the details and forget that what you want to create may be your main source of revenue, brand, livelihood, legacy and retirement fund. Why would you want to work with anyone who doesn’t care about your accomplishments, successes, and prosperity? Be prepared. Listen to expert advice. Get organized. Before you seek help for making your first website, or need a redesign for an existing one, be prepared, get organized and listen to the advice of experienced people. Here are some recommendations for choosing your web designer or design agency. 2. They are a business owner. 3. They are well respected in their field. 4. They have a proven record of client successes. 5. They truly care about their clients. 6. Though each works at the corporate enterprise level, they were willing to create services priced for small and home business owners for Creative Vision Web Consulting. 7. Their experience and skills are outstanding. 8. Each has an excellent reputation, with additional experience as teachers, authors, conference speakers, workshop presenters, bloggers and columnists. 9. Each was voted to be part of the web support team. There was no buying one’s way in. 10. Each member remains up to date on current technologies and advances in their field of expertise.